ACCO Joins the Otter Pop Vibes Tour to Bring Refreshment and Fun to Southern California! ACCO is pleased to join the first-ever Otter Pop Vibes Tour bringing the Otter Pops Beach Bungalow across Southern California to share tasty Otter Pop treats and highlight the fun and excitement of the Southern California lifestyle! The Otter Pops Beach Bungalow is a mobile “tiny house” and an 18’ X 26’ one-of‐a‐kind consumer experience where friends from Southern California can enjoy the highlights of summer and immerse themselves in all things Otter! In addition to offering customers their choice of one of six iconic ice pop flavors, The Otter Pop Vibes Tour will also be launching Otter Pops Beach Breakers, a new twist on the classic summer treat. The traveling Beach Bungalow will be fully equipped with lounge chairs, custom entertainment, music, and games, making it the ultimate summer hangout! Want to join the Otter Pop Vibes Tour and experience this unique summer extravaganza for yourself? The Otter Pop Vibes Tour can be located by clicking Here! For more information, visit http://www.otterpopstour.com/#join-the-party. Why is ACCO joining with the Otter Pop Vibes Tour? Because not only is it fun, but it’s helping kids with cancer! 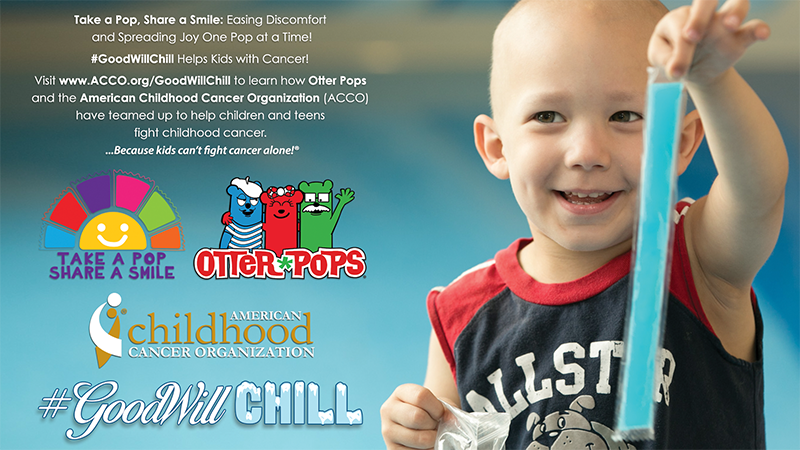 Thanks to the amazing Take a Pop, Share a Smile program, The Jel Sert Company provides freezer pops like Otter Pops free-of-charge to children fighting childhood cancer. For these brave cancer warriors, these frozen treats offers a fun, refreshing, and cool way to help cope with the difficult and often painful side effects of cancer treatment. 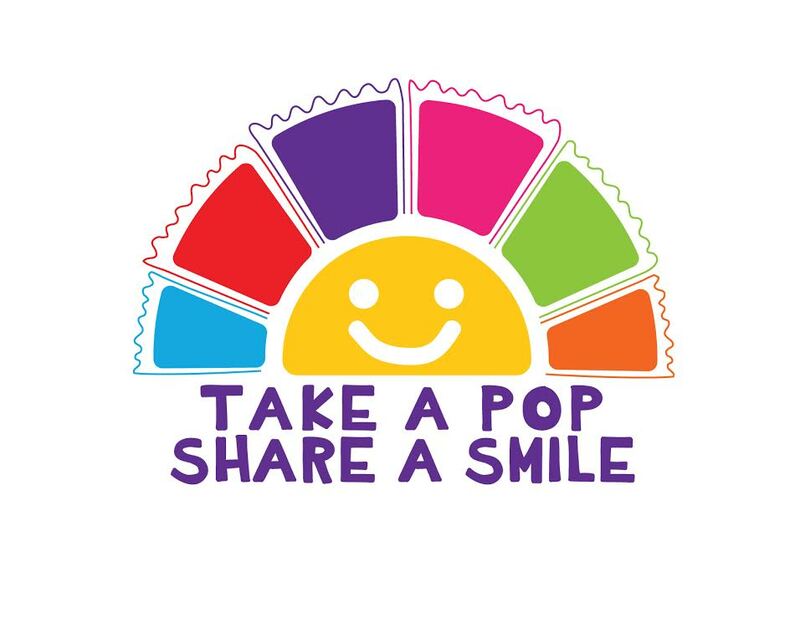 Through the Take a Pop, Share a Smile program, Jel Sert donates a freezer, decorated with the Gold Ribbon representing childhood cancer, to participating children’s hospitals and treatment centers. The freezer comes pre-stocked with 2,000 Fla-Vor-Ice freezer pops, and hospital staff can easily order more free-of-charge when supplies run low. Since 2010, Jel Sert has donated more than one million freezer pops to more than 115 hospitals and treatment centers across the United States and is seeking to continue to expand this critical program! Thanks to this amazing #GoodWillChill partnership that launched in 2008, the Jel Sert Company has been a long-standing and steadfast partner with ACCO in the fight against childhood cancer. For instance, in addition to its important Take a Pop, Share a Smile program, Jel Sert has incorporated the gold ribbon, the internationally-recognized awareness symbol for childhood cancer, into the packaging of many of its products, including Fla-Vor-Ice freezer pops, Otter Pops, and Pop-Ice. Last summer, Jel Sert organized the first-ever corporate PJammin® for Kids with Cancer event, where more than 200 employees participated in an incredible fundraiser to raise awareness about childhood cancer and to raise money to support ACCO’s mission to develop and provide free learning resources and empowerment tools to families facing a cancer diagnosis. Participants wore their favorite pajamas and slippers to work and joined in a fun corporate picnic. Top fundraisers in each department got the opportunity to drop their supervisor into a dunk tank, while the top overall fundraiser dunked Jel Sert President Ken Wegner!